Morocco is based on the western tip of north Africa and is bordered by Mauritania to the south east and Algeria to the east. The 97,344 sq. miles of the disputed western Sahara lies to the south. The Middle Atlas Mountains run up the centre of the country, covered in pine, oak and cedar woods, they rise to over 3,000m. Towards the Atlantic coast, the hillsides flatten out into fertile plains and sandy beaches. The Mediterranean coast, in the far north of the country, is made up of creeks, bays and beaches that are ideal for swimming and fishing and as a result, a number of resorts have recently been established in the area. Coastal regions benefit from a Mediterranean climate with summer temperatures of about 30 degrees and winter lows of 10 degrees, but as you go inland the climate tends to get hotter and drier increasing in temperature towards the Sahara desert in the south. 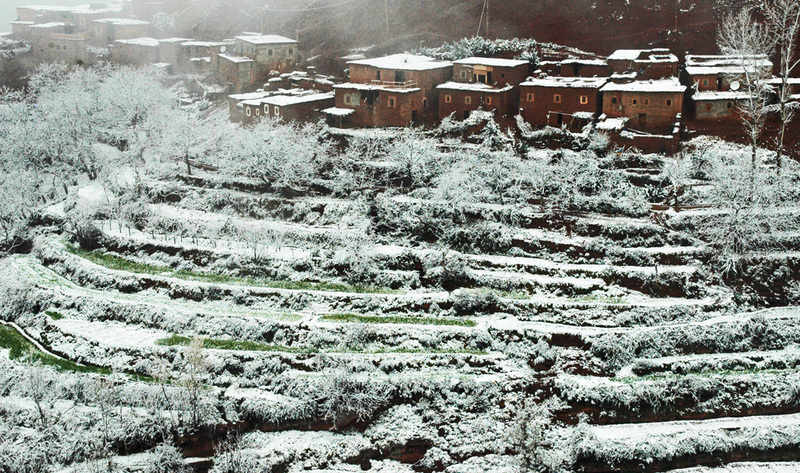 The altitude of the Atlas Mountains offers cooler temperatures. 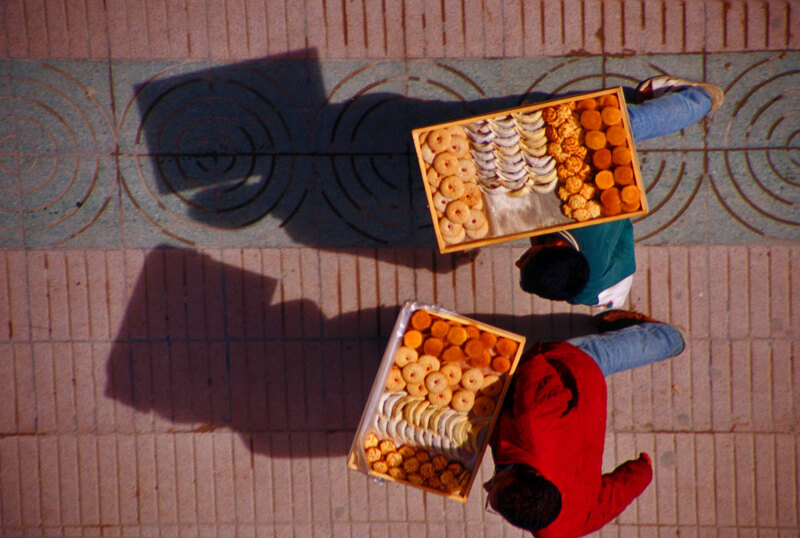 Marrakech and Agadir enjoy an average temperature of 21°C (70ºF) in the winter. 710,850 sq km (274,461 sq miles). Rabat – population 1,655,000 (2010). 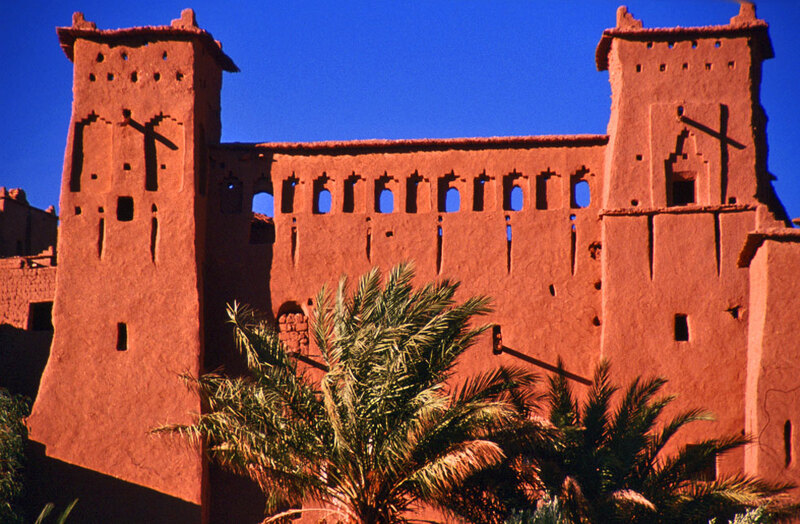 The official language is Arabic, but Berber is spoken by a large minority. French is widely spoken throughout the country, except in the northern regions where Spanish is more predominant. English is also understood, particularly in the north and the main tourist areas. Predominantly Muslim with Jewish and Christian minorities. 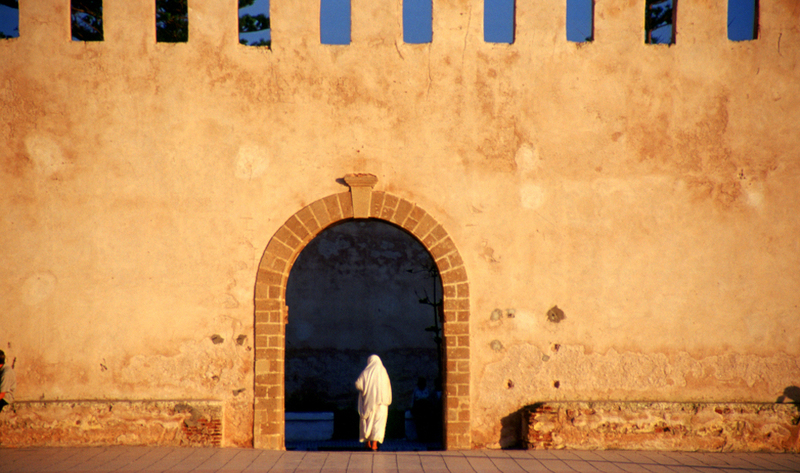 Morocco’s population and culture stems from a cross-section of origins including Berbers, Arabs, Moors and Jews. Morocco offers an entrancing blend of culture, history and entertainment from superb architecture to intriguing folklore, beach resorts to bustling markets and even the opportunity for some skiing, Morocco’s many delight constitute a sensory overload where Europe spills enchantingly into Africa. 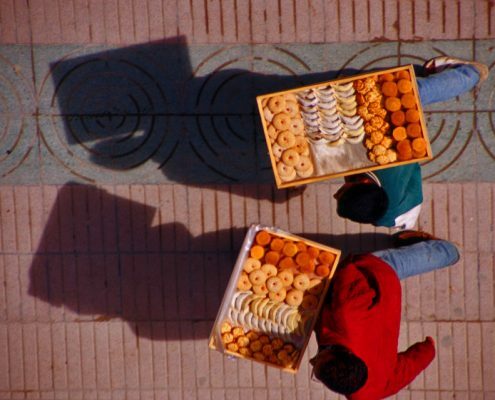 For those in search of culture, the colourful cities of Marrakech and Fez provide endless opportunities to explore the ancient palaces and mosques, the UNESCO-listed medinas, bustling markets and magnificent architecture. 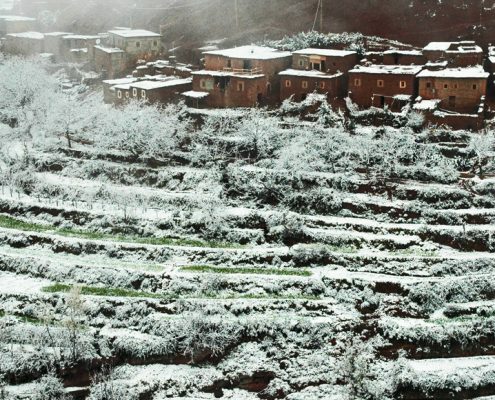 For the adventurous, the wild Atlas Mountains offer outstanding opportunities for hiking and trekking. 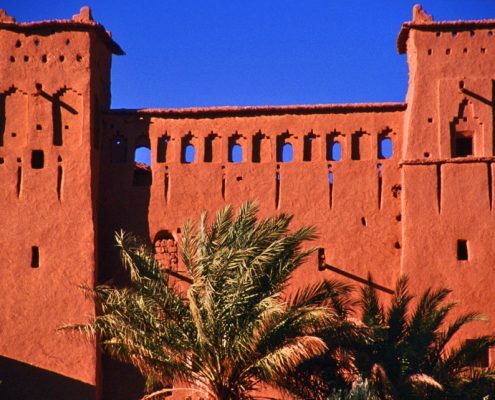 The southern part of the country is dominated by the vast, majestic desert and pockets of ancient Berber culture. A different world of extreme contrasts, a heady mix of cultures, religions, climates and ancient traditions, only three hours flight away. Places of interest in the ancient capital city Fez, which dates back to the 8th century, are the NejjarineSquare and Fountain, the Er Rsif and Andalous Mosques, the Royal Palace and the Kasbah and Karaouine Universities. Like the other imperial cities, Fez’s architecture reflects the brilliant imagination and artistry of the Arab and Berber peoples. The ‘souk‘ or market place is like an Aladdin’s cave, an intricate network of alleys that contain workshops, bazaars, restaurants, mosques and food stalls. The atmosphere is alive with new smells and sounds that will keep you entranced for hours – stews, couscous, and elaborate pastries are favourites, along with traditional sweet mint tea. Meknes, just south of Fez, is surrounded by 25 miles of battlements built during the reign of King Moulay Ismail. The ‘souk’ at Meknes is a great attraction as may be the two skiing resorts set above the city. 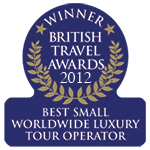 Founded in 1062, Marrakech is set amid the most beautiful landscape of snow-capped mountains. Once one of the most important artistic and cultural centres in the Islamic world, it still has a labyrinth of alleyways and markets, secluded palaces, mosques and gardens. Djemmaa-el-Fnem, the city square, is where you will see acrobats, dancers and story-tellers performing during the day. The 12th Century minaret Koutoubia, the Bahia Palace, the mosaics of the Ben Youssef and the Saadian Tombs should all be visited. A pleasant end to a hard day of sightseeing is to take horse-drawn carriage ride as the sun sets over the Old City. 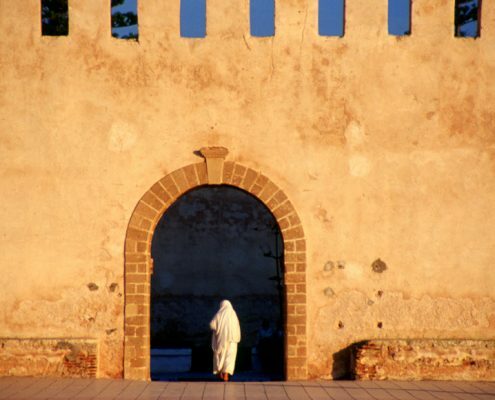 Rabat is the present capital, dating back to the 12th Century, it has a number of superb monuments, Roman ruins and examples of architecture from throughout its history; The Gate of Ambassadors and the Oudaias Kasbah Gate are both monumental in size. The Mohammed V Mausoleum, built in the traditional Moroccan style, the Royal Palace, city gardens and the museum are not to be missed. The southern part of the country has some spectacular scenery. Villages are built around oases and the underground waters of the Ziz and Rheris form pockets of green and fertile land amid the aridity of the Sahara. During the 19th Century, Morocco was an independent country until it was taken over by both theFrench and the Spanishin 1912. During their occupation 400,000 French emigrated to Morocco, established farms and became an important part of the economy. In 1956 when independence was declared, the vast majority of these settlers moved back to France causing an economic void that has taken some time to fill. The Spanish renounced their claim on most of Morocco just after the French had left, however, they retained control of the Mediterranean ports of Ceuta and Melilla, as well as a large part of the western Sahara. Sultan Mohammed Vwhose independent party secured Moroccan freedom, promoted himself to king in 1957 and was succeeded in 1961 by his son King Hussan II. The main conflict that dogged his reign was the Saharan War. In 1975, under a great deal of pressure from Hussan, Spain agreed to hand back the Western Sahara to be split between Morocco and Mauritania. Unhappy with the decision, the indigenous peoples of the Sahara, the Saouarhis, fought for their independence. Mauritania under financial pressure soon relinquished its part of the territory, which was quickly snapped up by Morocco. The value of the western Sahara lies in its huge phosphate deposits that if secured by Morocco would give them a near monopoly on the mineral. Hussan tried negotiating with the Polisario Front (the Saouarhis’ party) strengthening the chances of a peaceful settlement. In 1991 the United Nations brokered a ceasefire and Western Sahara’s official status continues to remain in question. The southern invasion was applauded by the Moroccan masses but relations with the Western Saharans and nearby Algeria remain precarious. Although the country’s application for membership to the European Community was turned down, in 1990 Morocco was involved in the diplomatic attempts to disperse the gulf crisis. King Hussan served as absolute monarch for 38 years until July 1999 when he was succeeded by his son. King Mohammed VI soon urged for democratic reforms and promised to purge the government of corruption and allow more freedom of the press. Today, Morocco’s human rights record is one of the best in Africa and the Middle East. However, repressive measures were revived after 9/11 and the 2003 Casablanca bombings. But human rights are acknowledged by awarding reparations to more than 9000 victims of the what are known as Morocco’s ‘Black Years’. Mohammed VIhas has overseen small but real reformist steps, including elections, the introduction of Berber languages in some state schools and the much-anticipated Mudawanna, a legal code protecting women’s rights to divorce and custody. The king has also forged closer ties with Europe and overseen a tourism boom, making travel to this colourful country a much simpler and more gratifying experience.